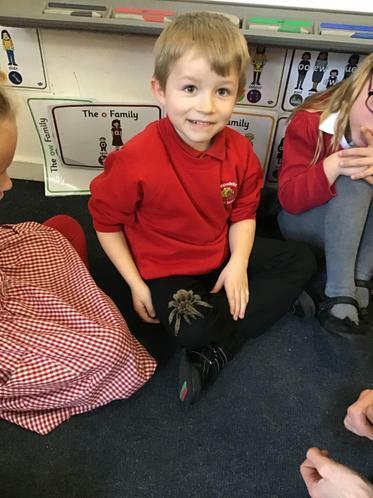 Our Class Mascot is Cammile. 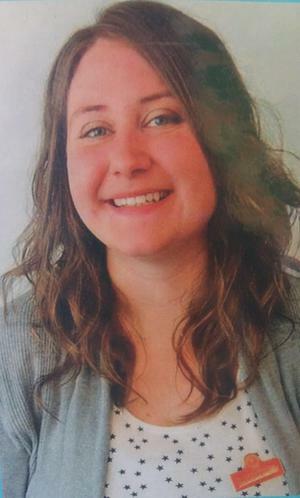 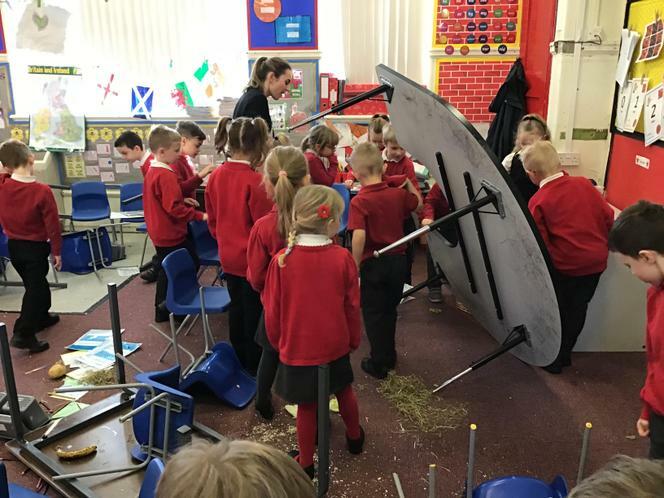 Hello my name is Cammile and I line Green Class. 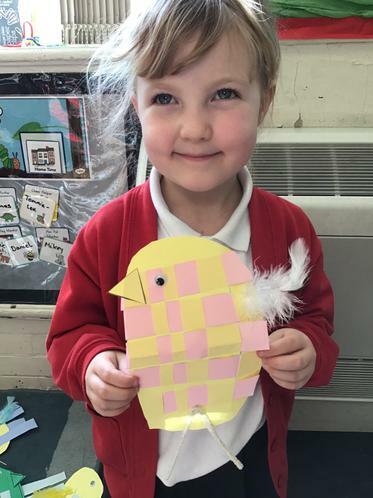 Miss Timbrell and I hope you all have a wonderful Easter holiday, full of fun. 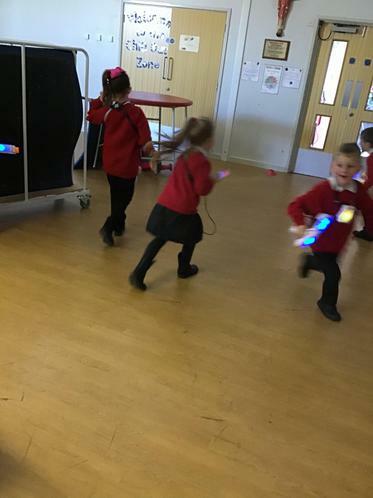 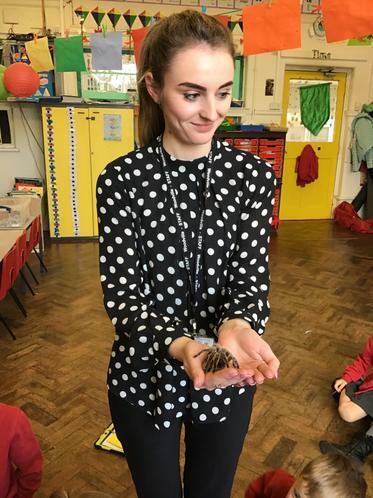 The children have had a lovely day watching the Secret Garden, making lots of Easter Craft and they even had a special visitor. 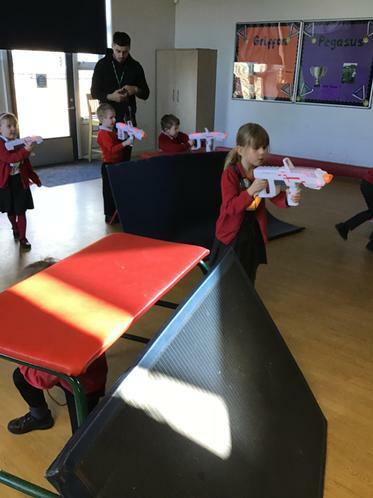 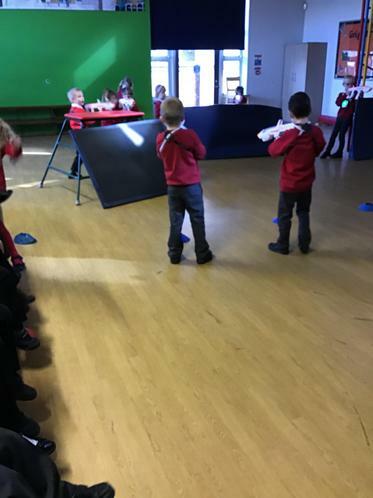 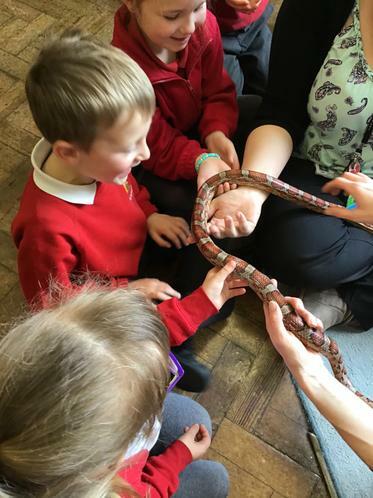 The day the zoo came to school! 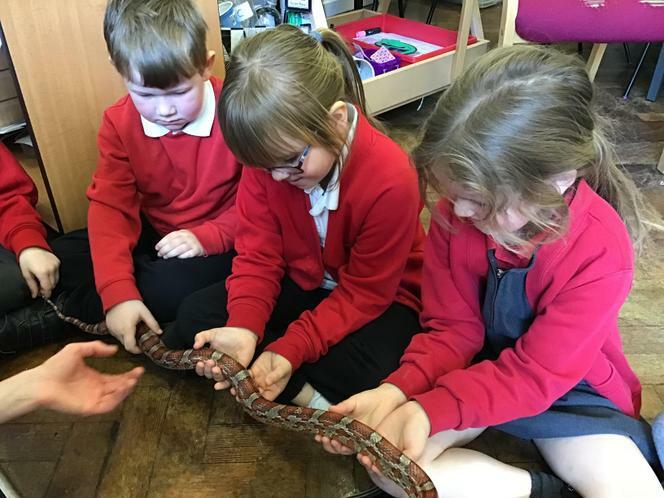 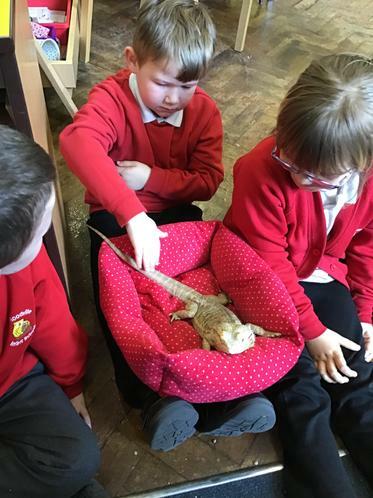 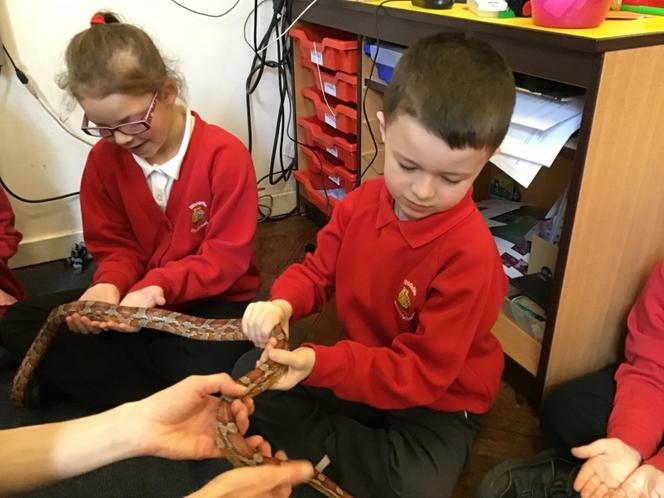 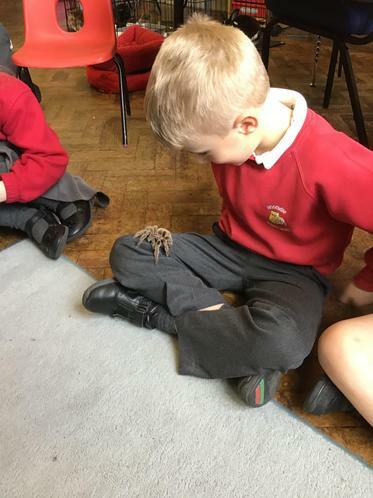 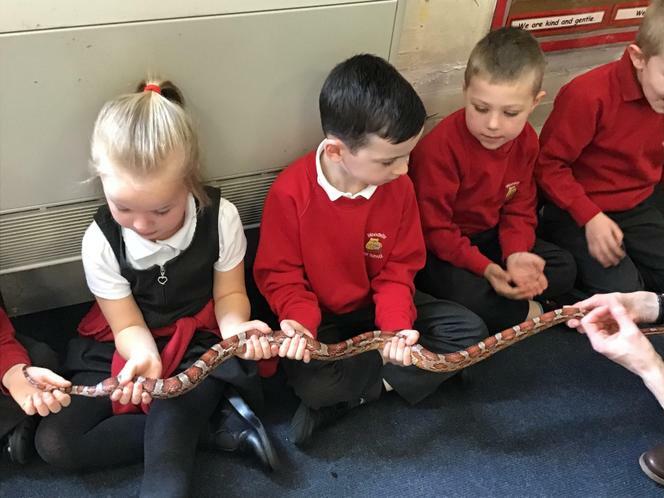 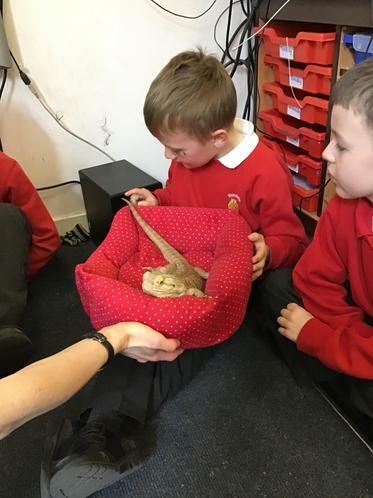 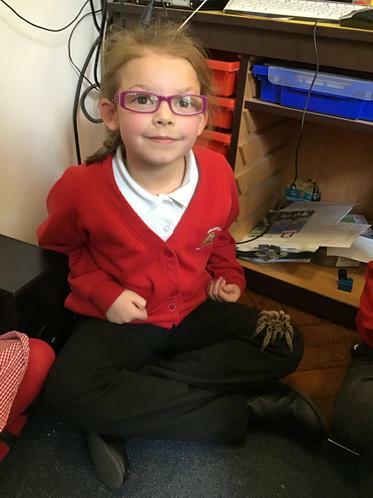 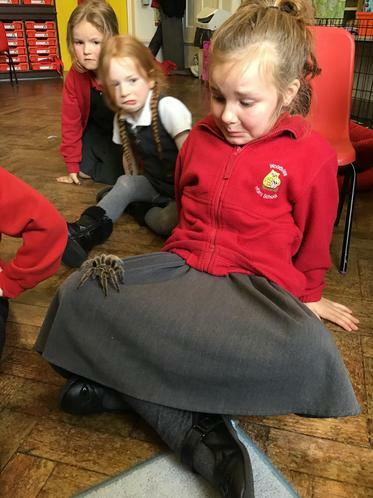 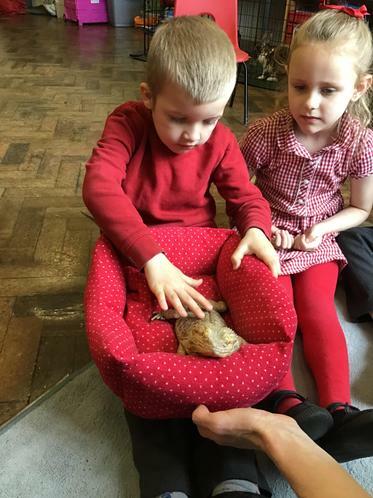 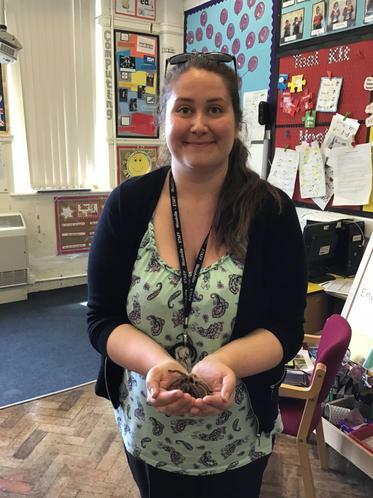 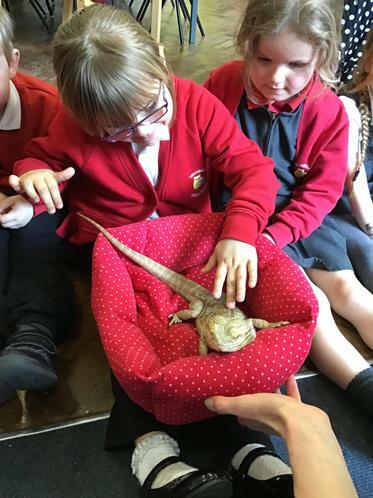 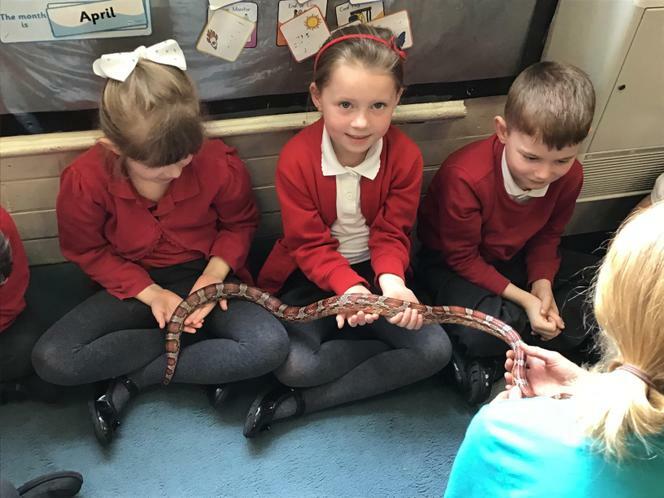 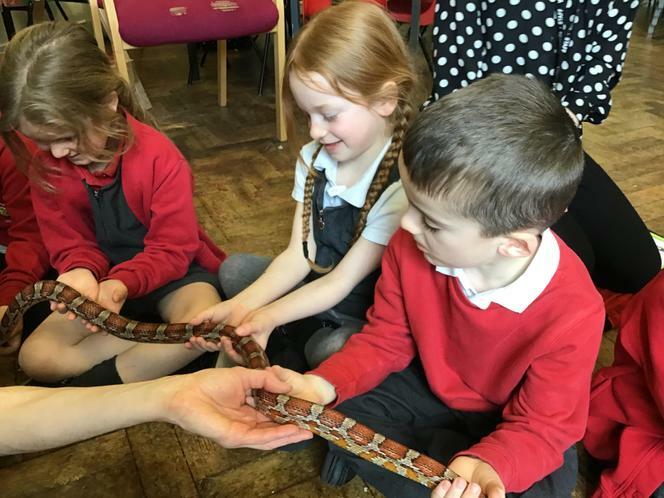 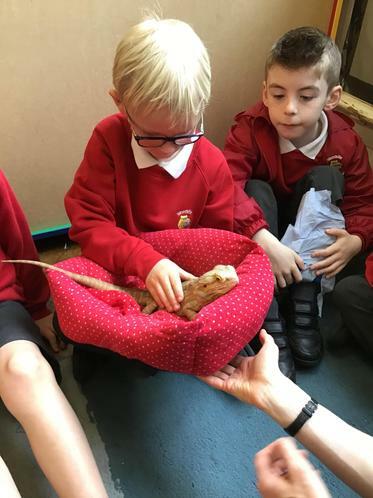 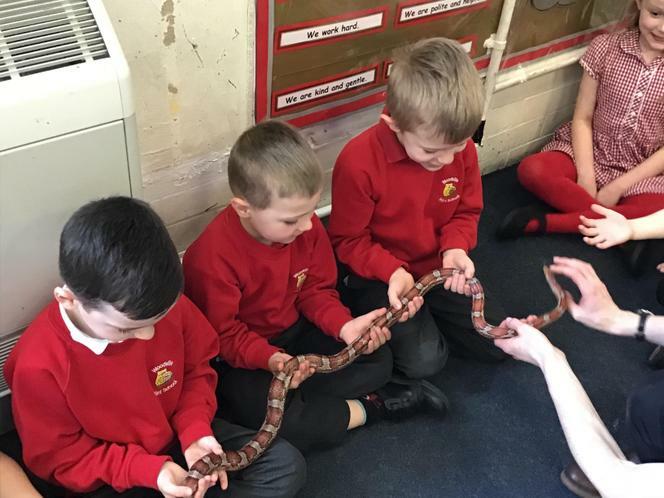 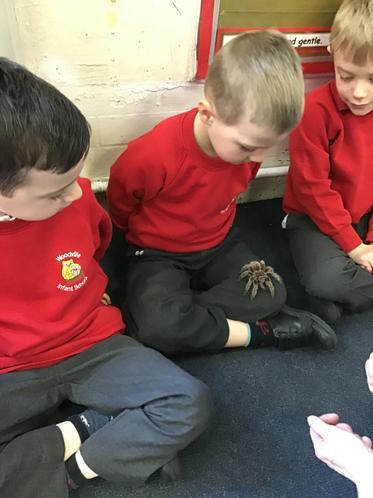 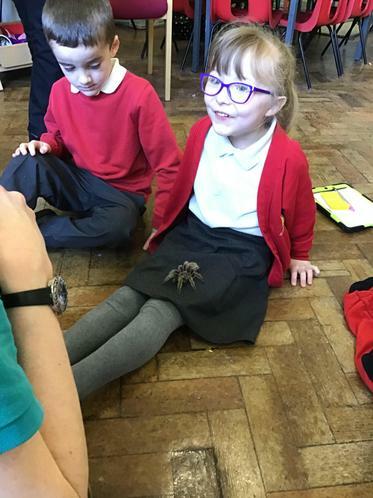 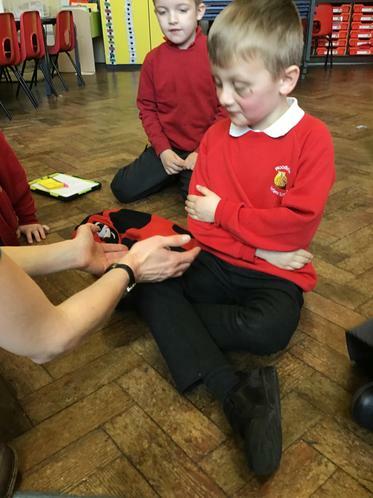 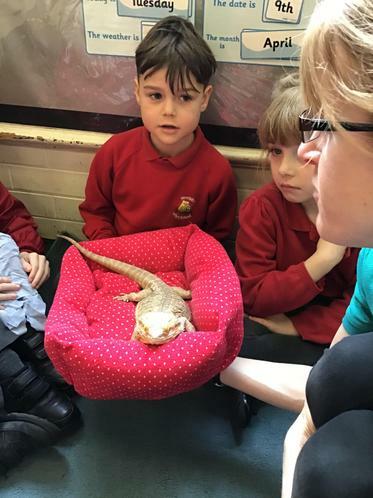 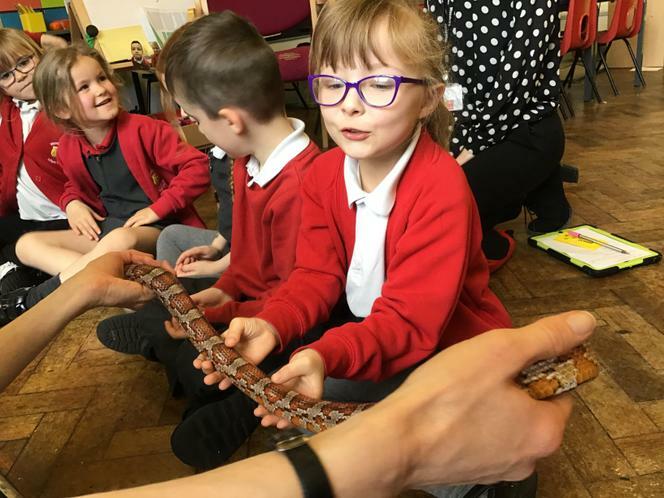 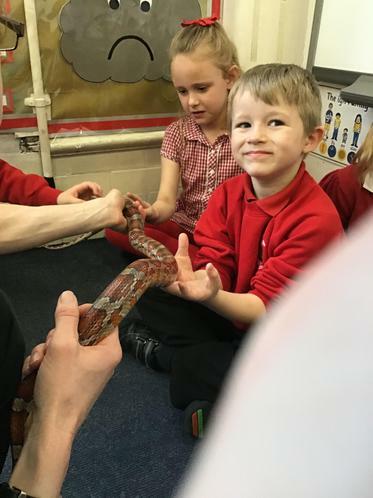 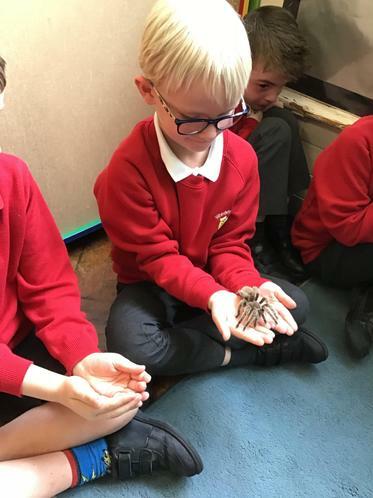 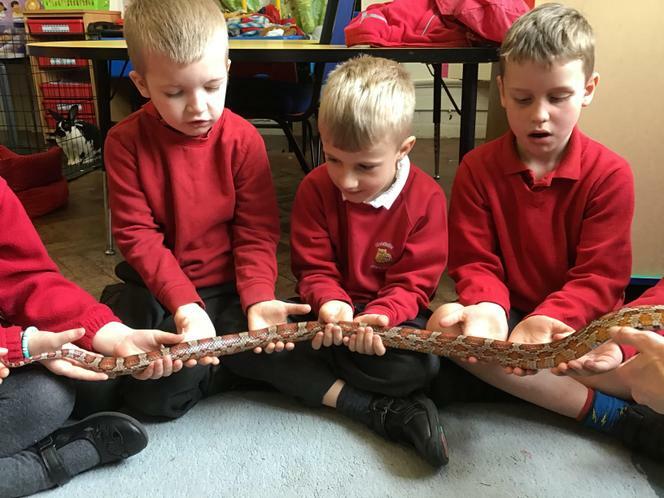 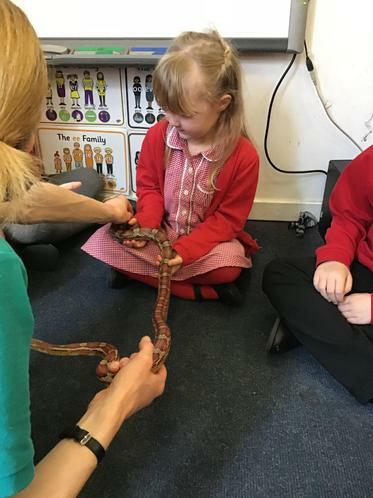 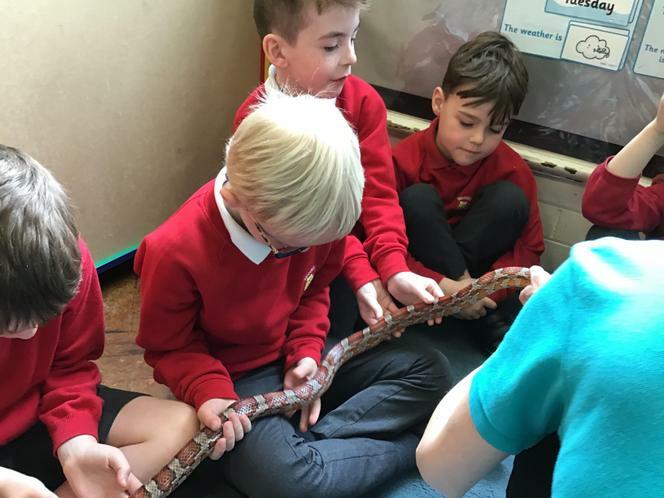 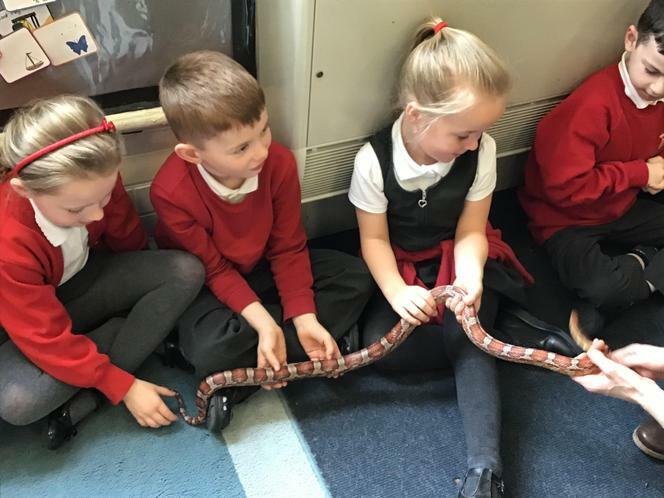 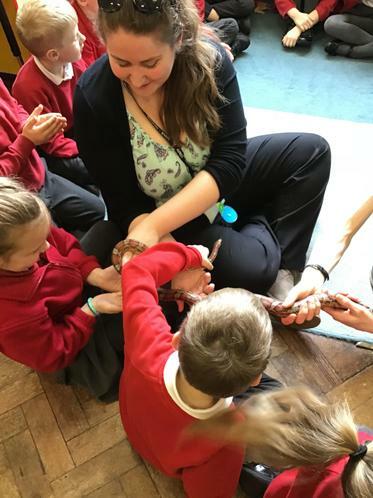 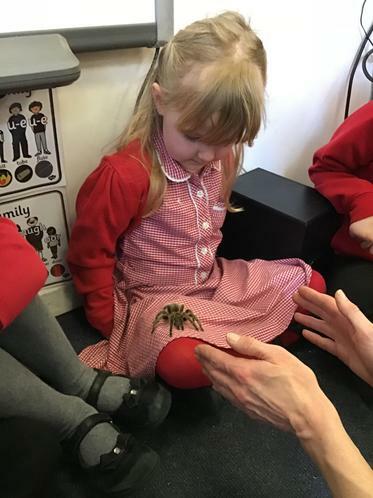 The children were excited to meet lots of animals today, Christy showed the children; mammals, amphibians, reptiles and birds. 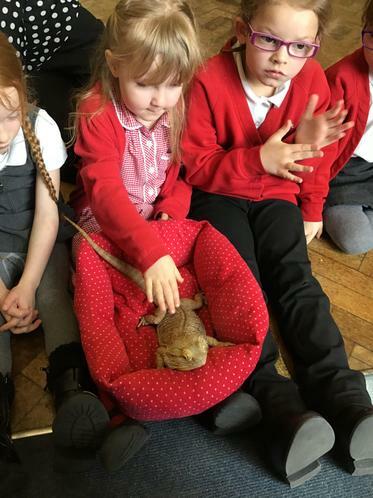 The children were really brave, some children held the animals and some children touched them. 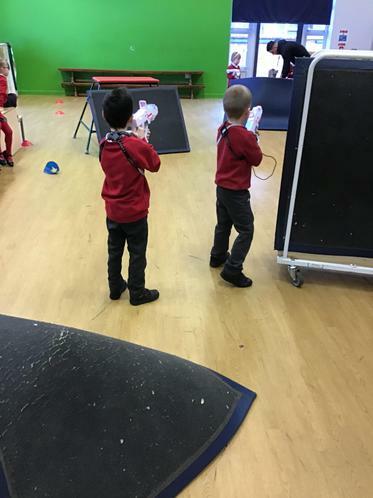 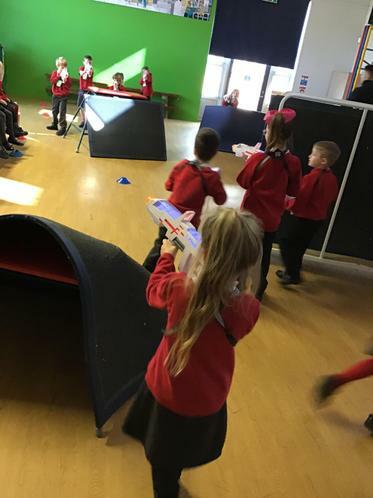 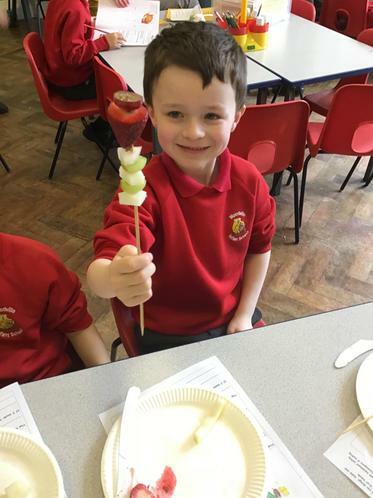 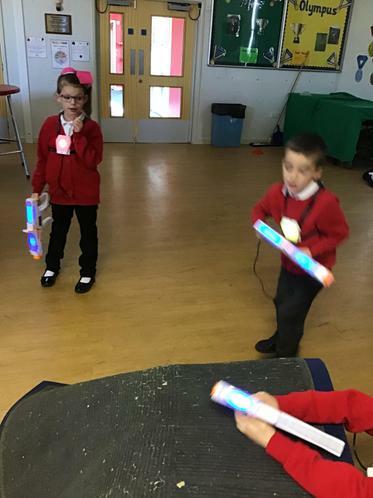 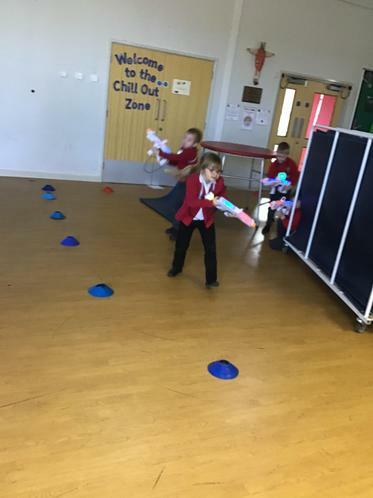 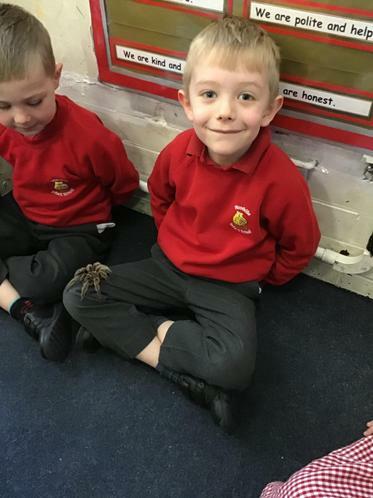 Well done Green Class! 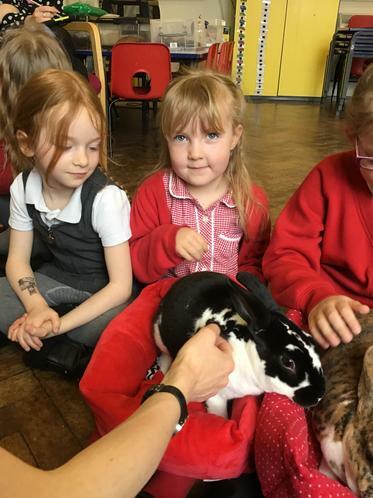 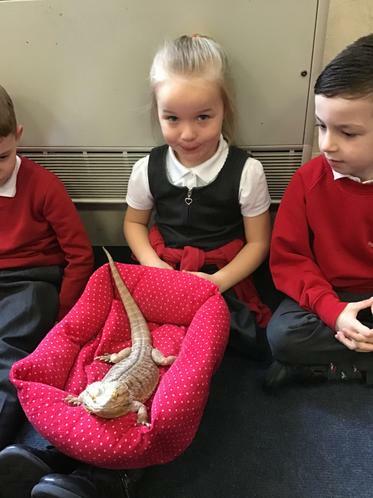 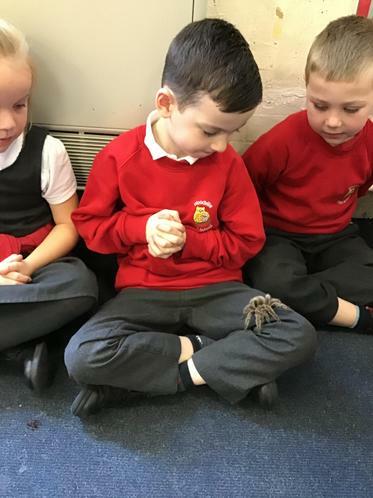 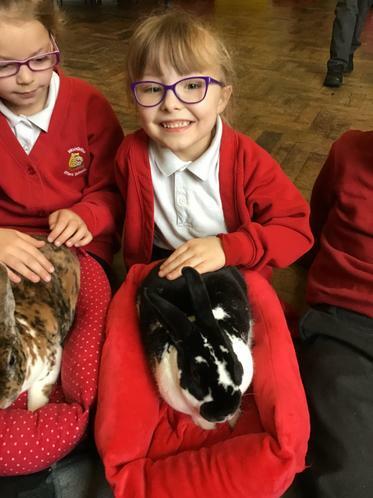 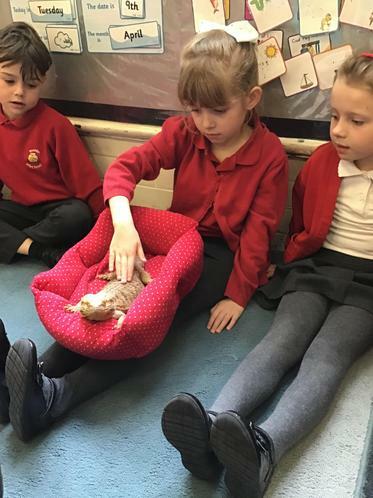 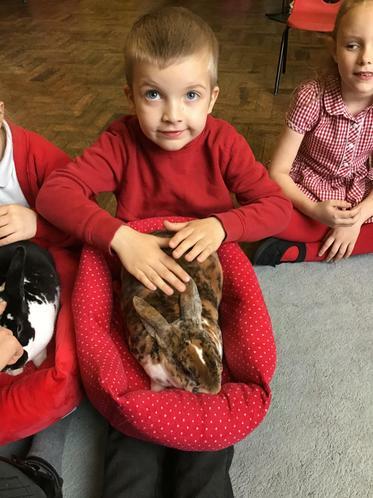 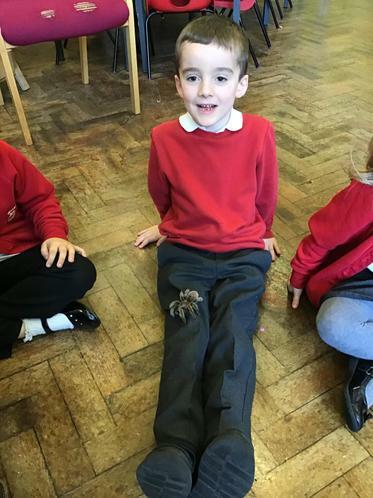 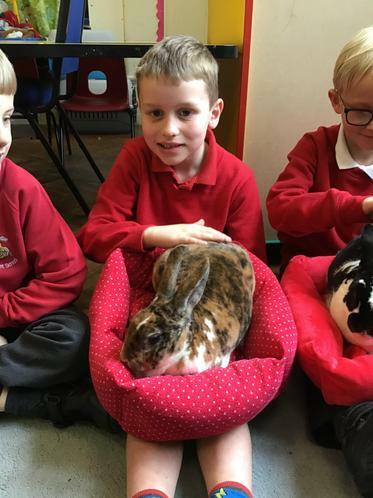 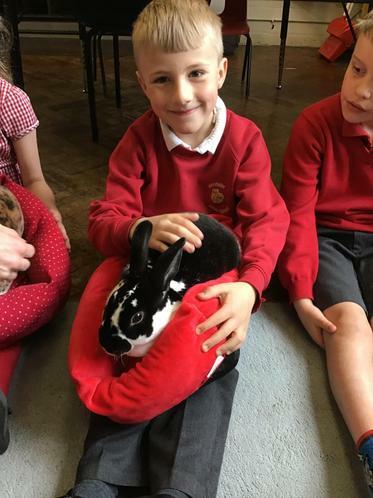 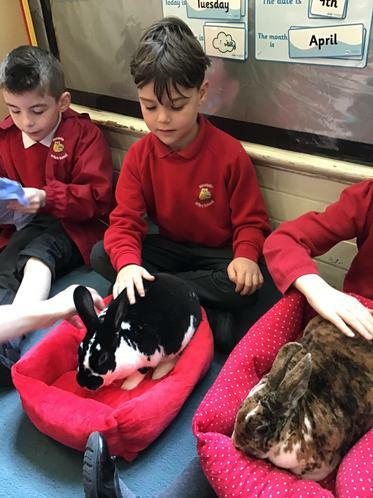 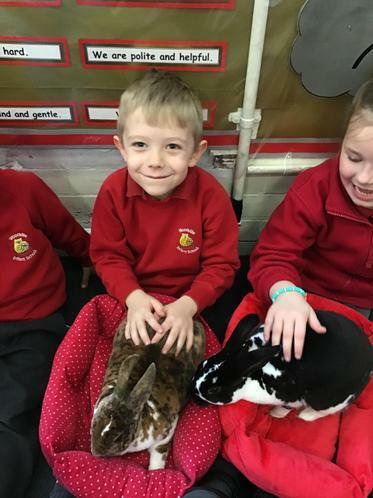 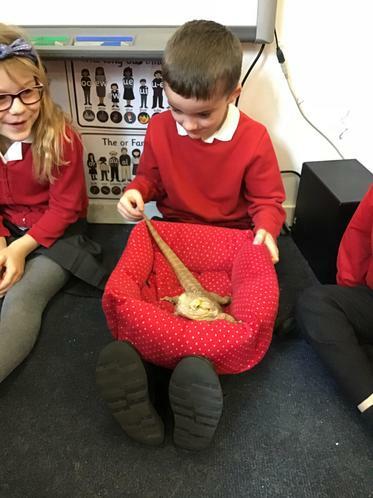 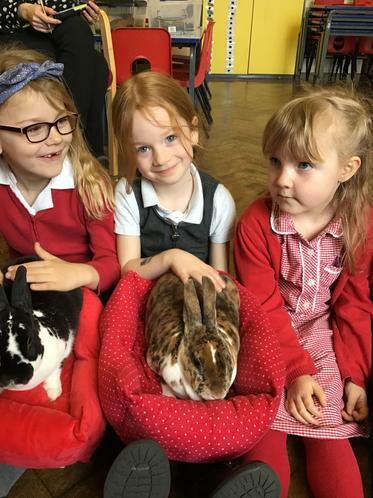 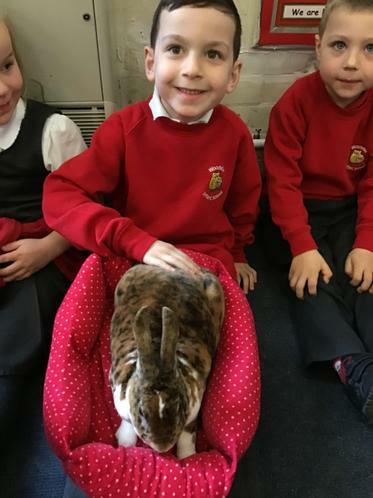 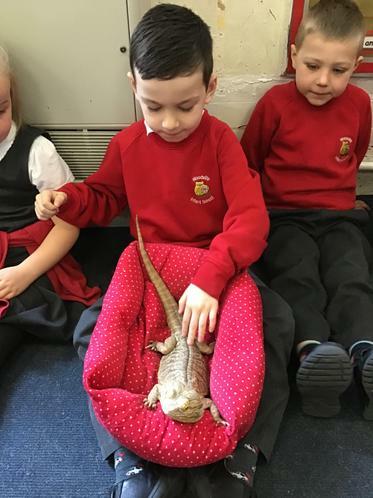 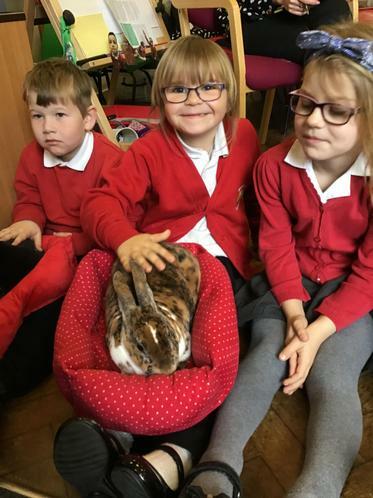 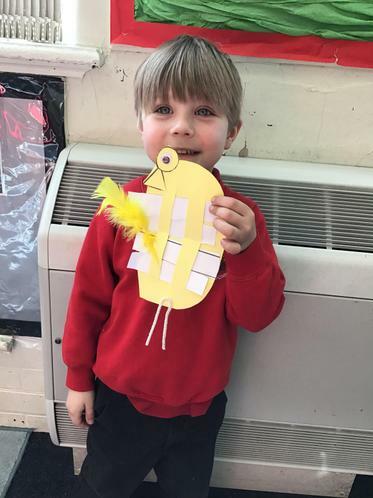 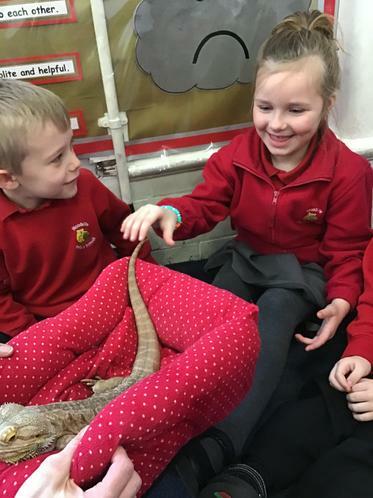 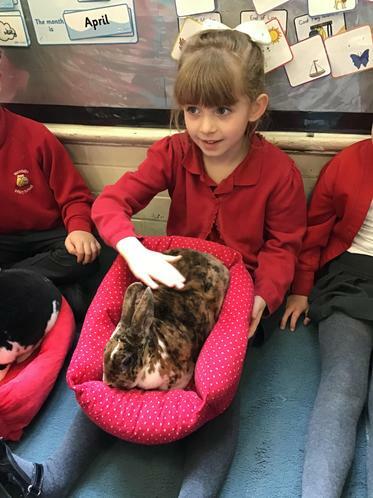 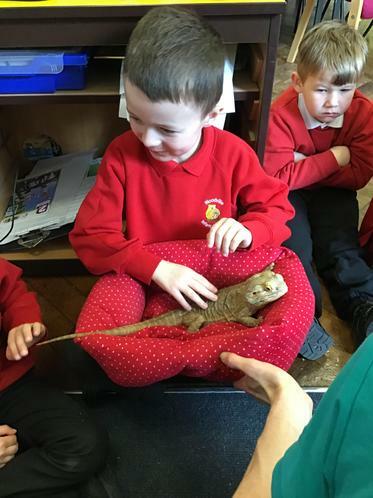 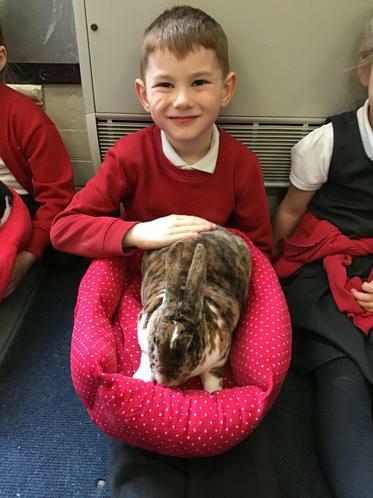 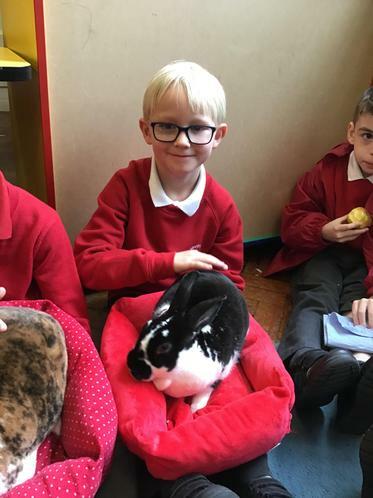 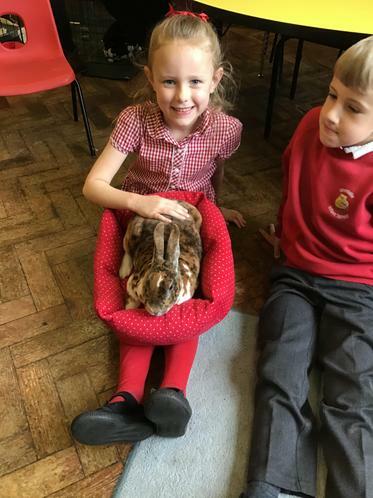 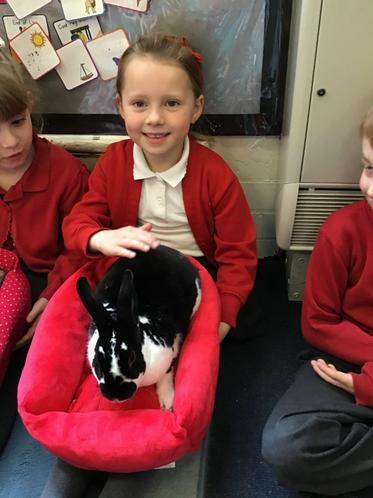 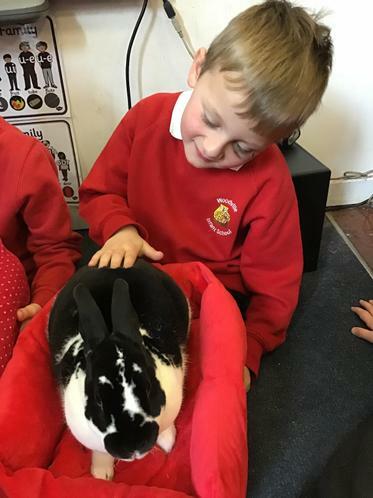 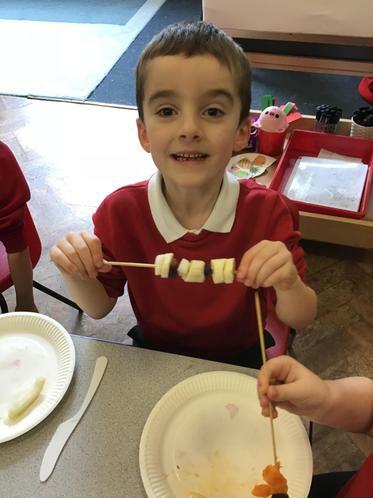 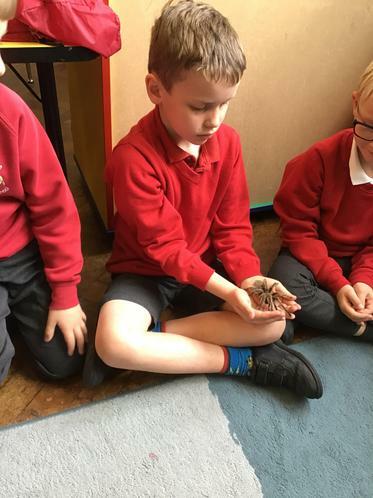 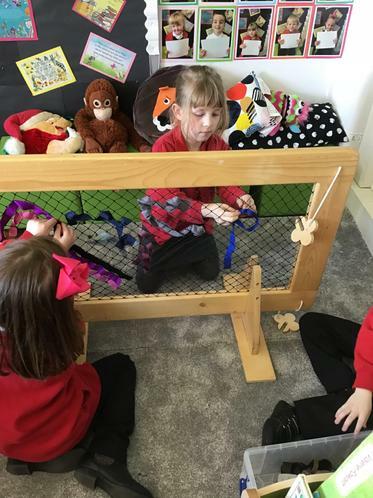 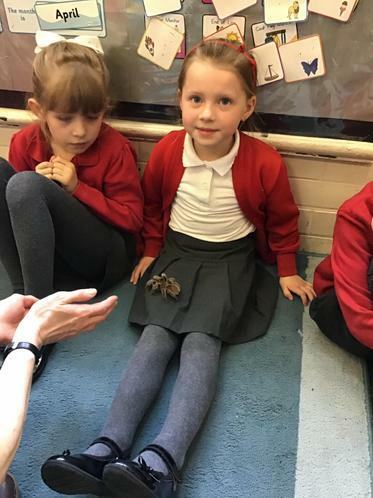 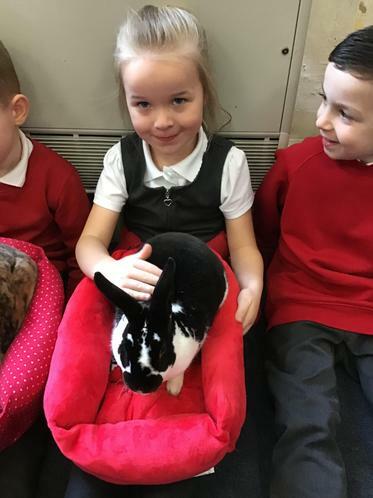 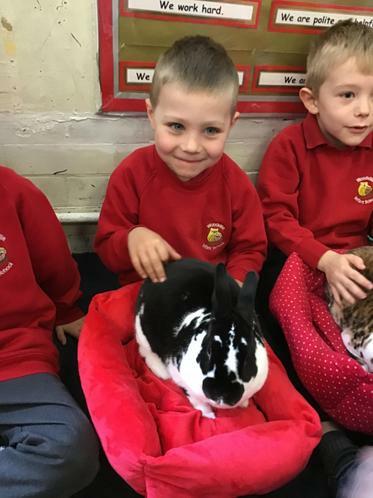 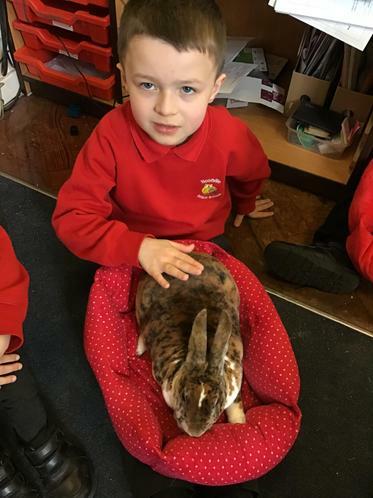 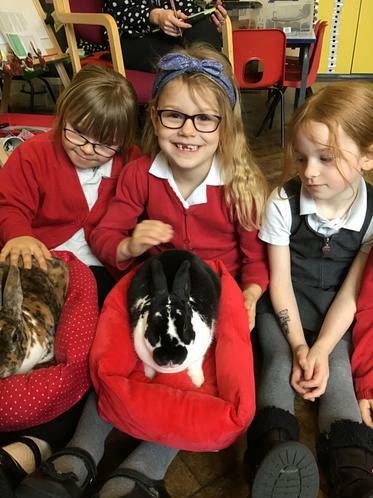 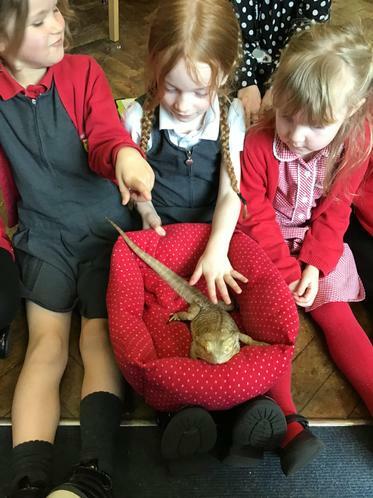 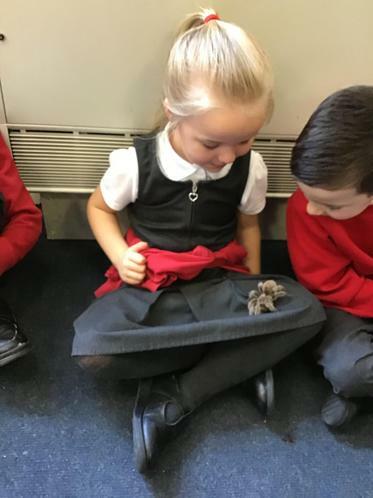 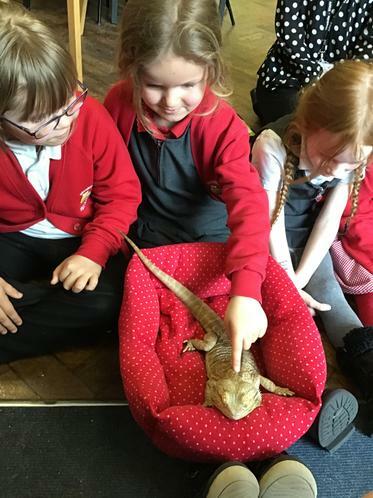 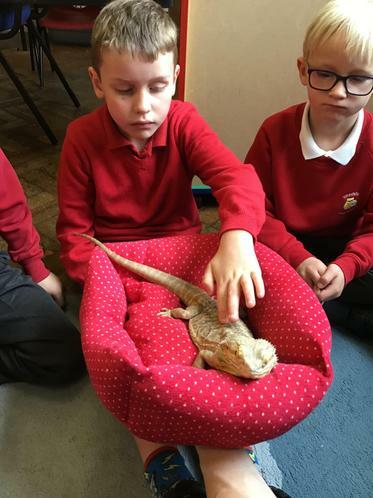 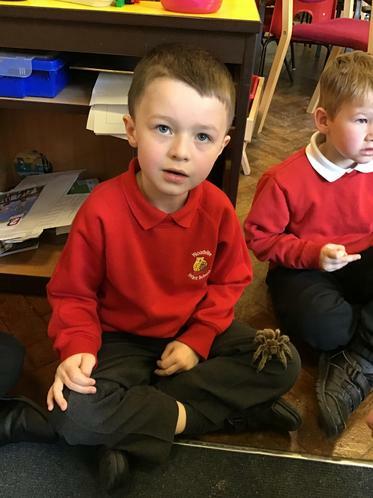 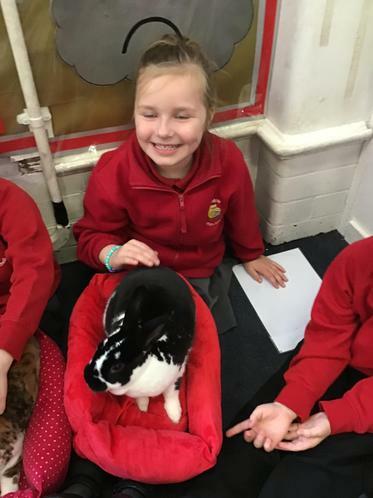 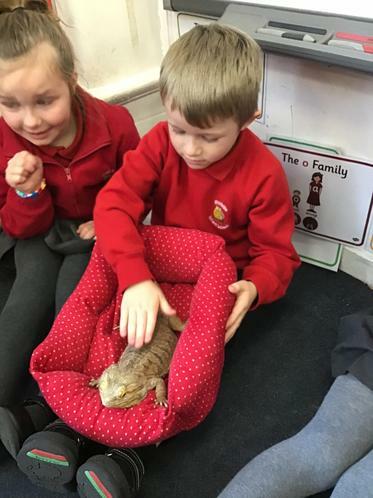 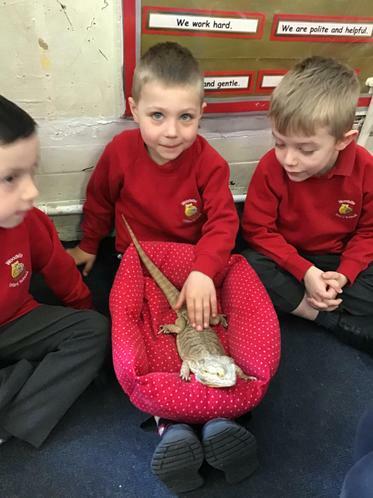 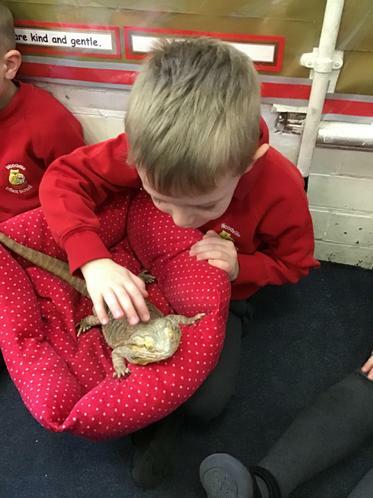 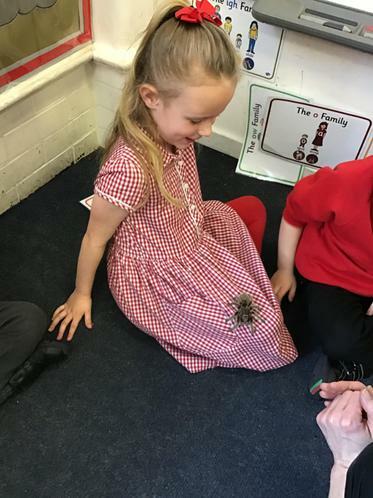 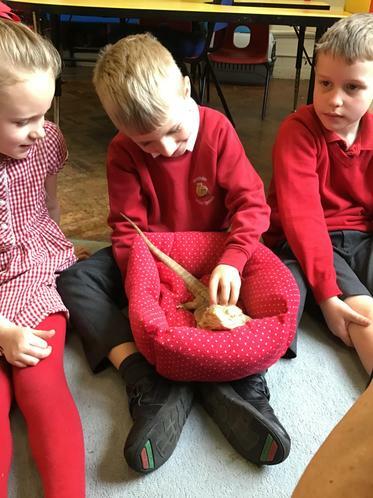 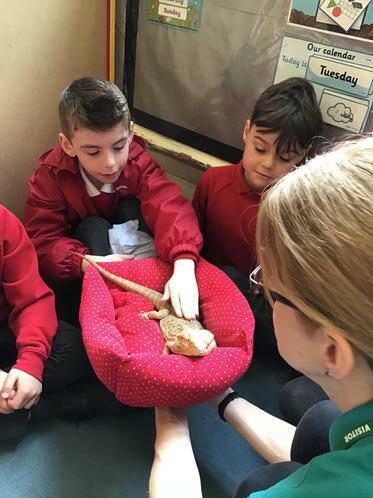 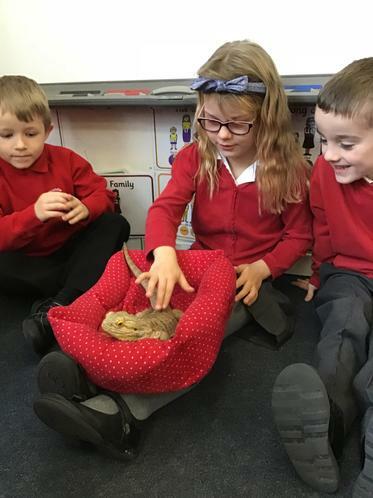 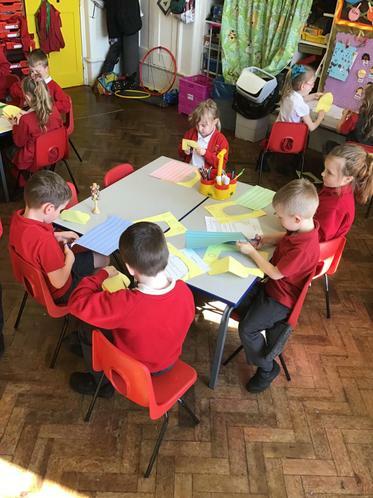 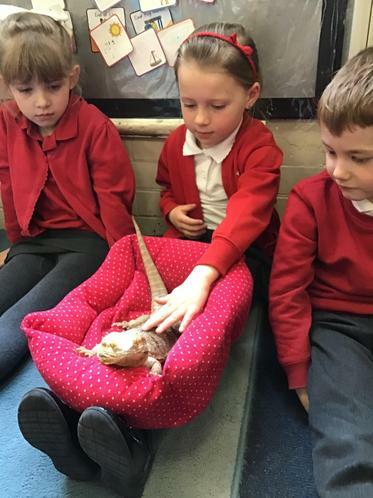 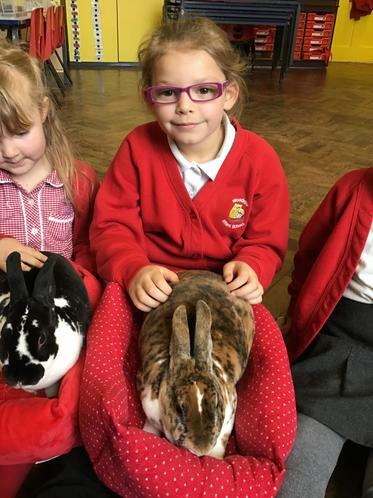 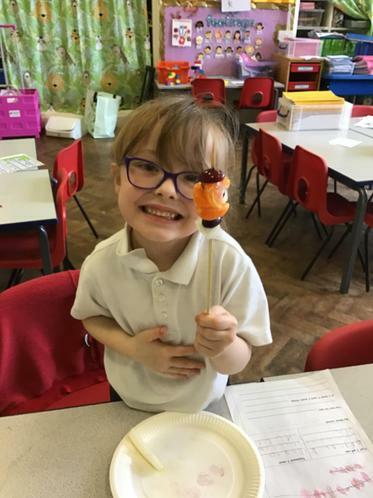 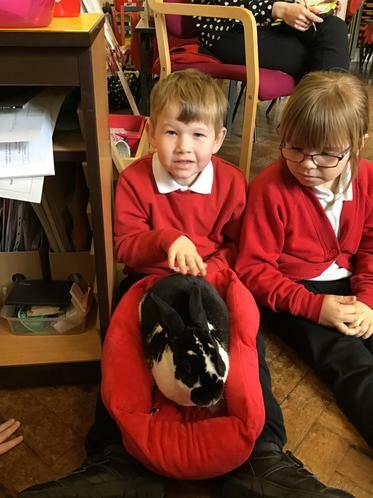 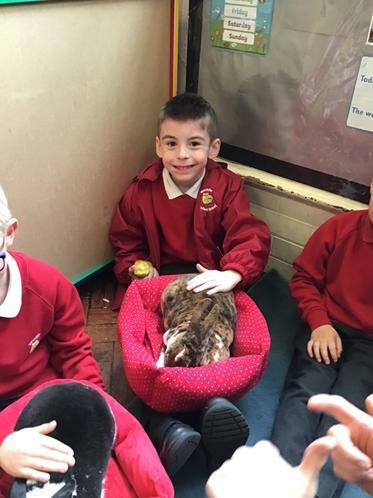 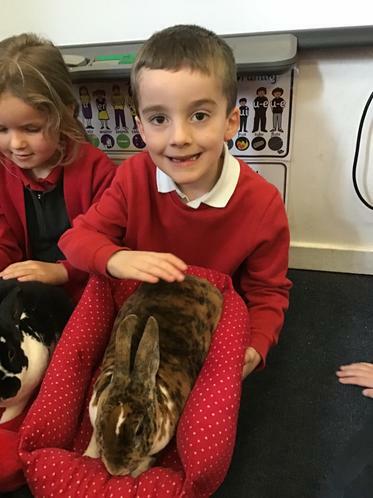 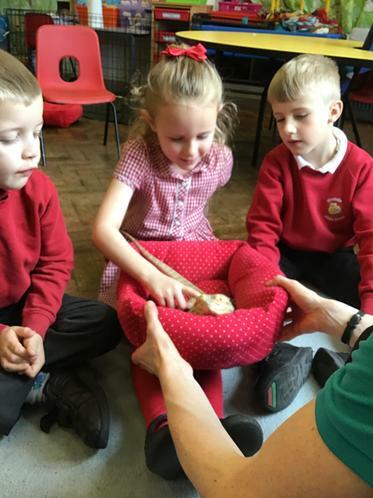 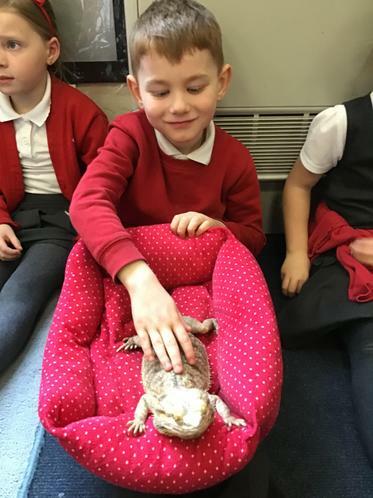 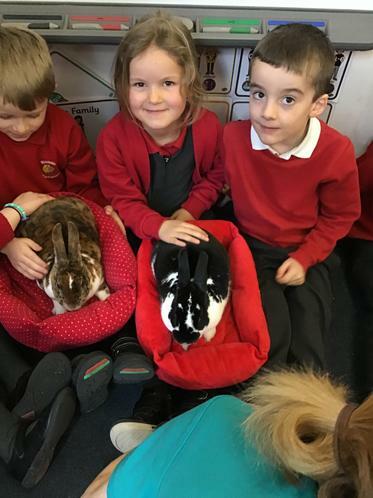 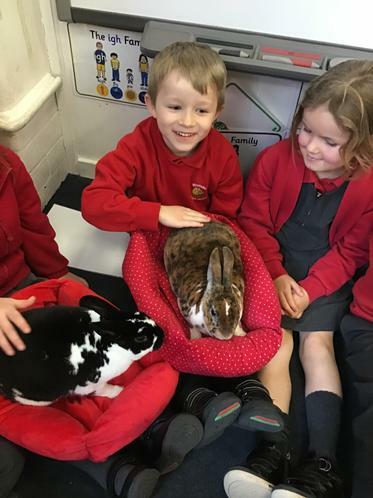 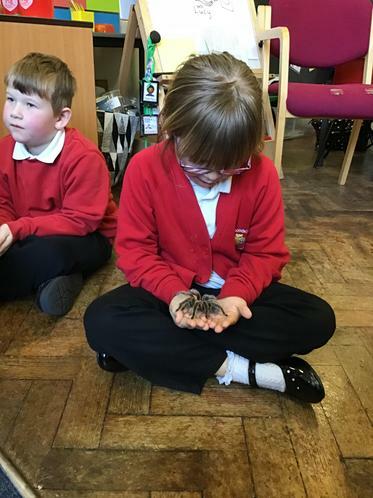 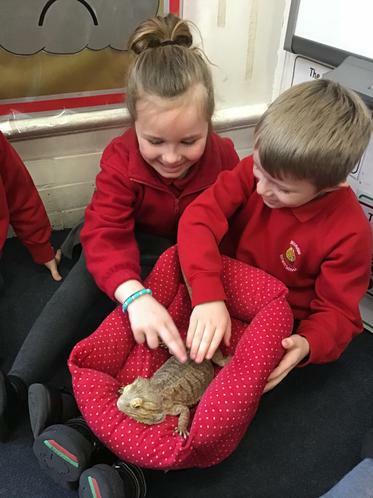 In topic the children have enjoyed learning about animals. 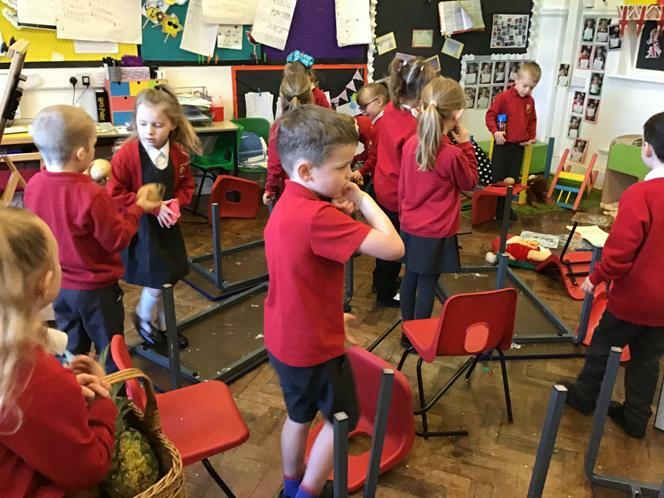 In literacy the children have been retelling and innovating Handa’s surprise. 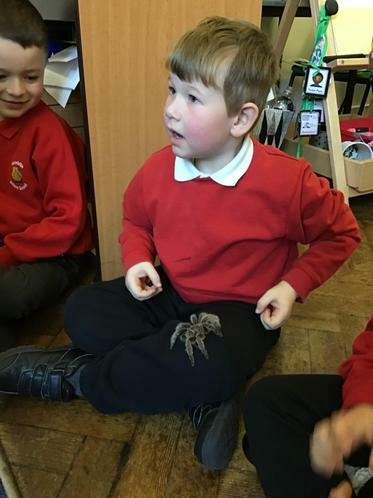 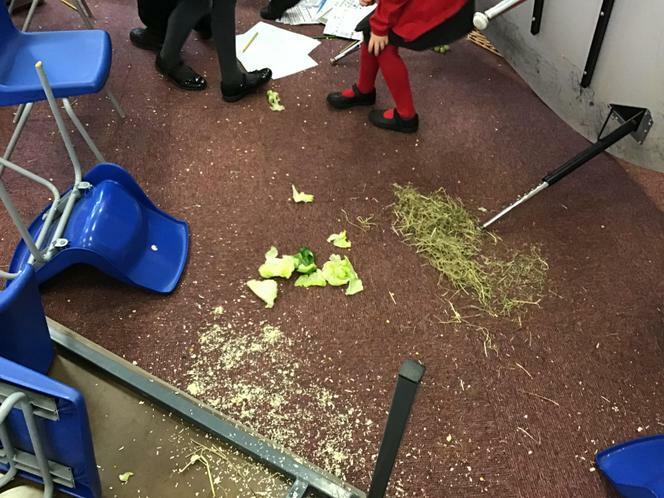 The children were shocked to see that Handa’s animals had been in the classroom over the weekend. 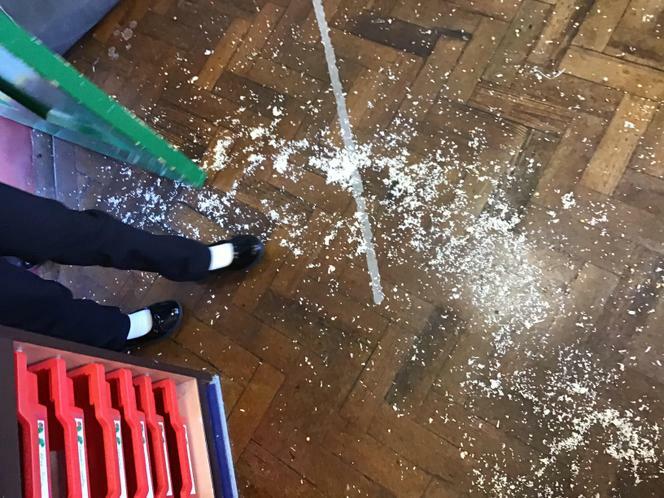 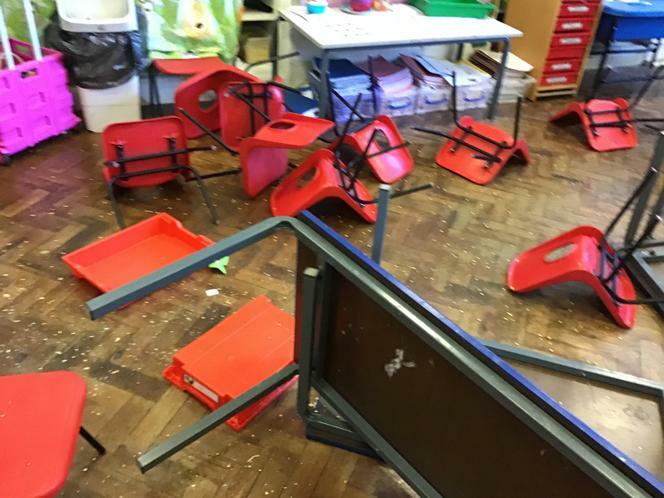 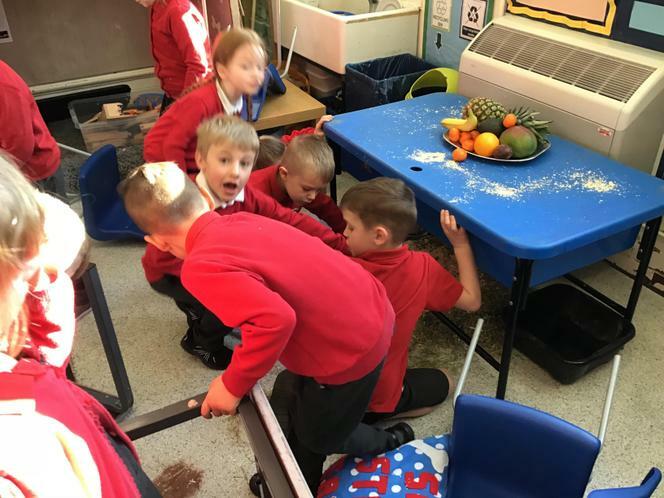 They made a rather big mess! 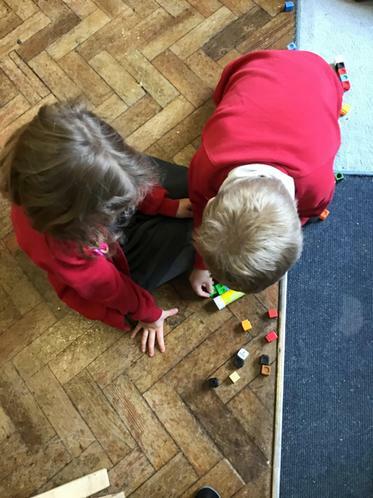 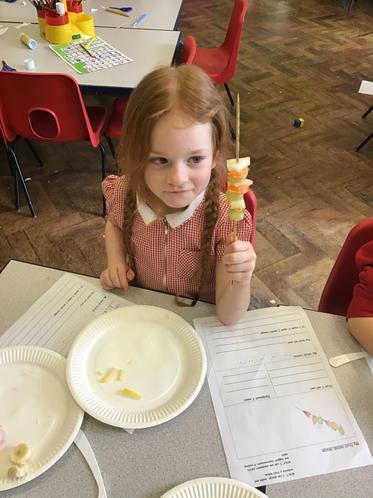 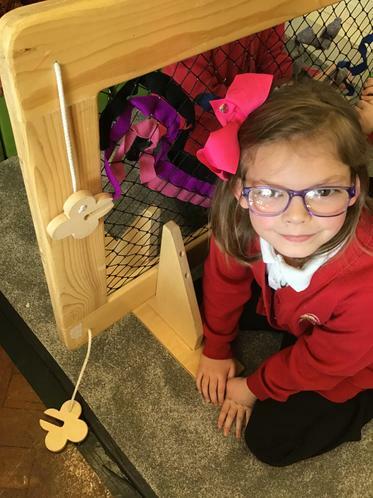 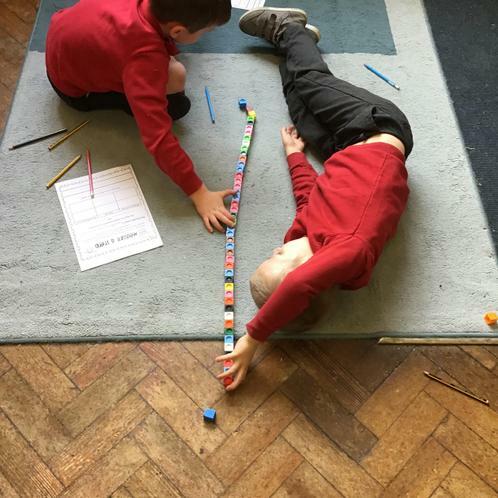 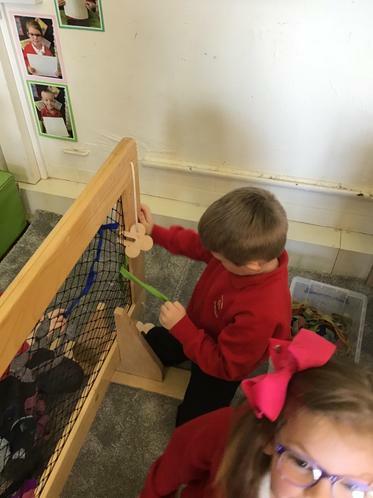 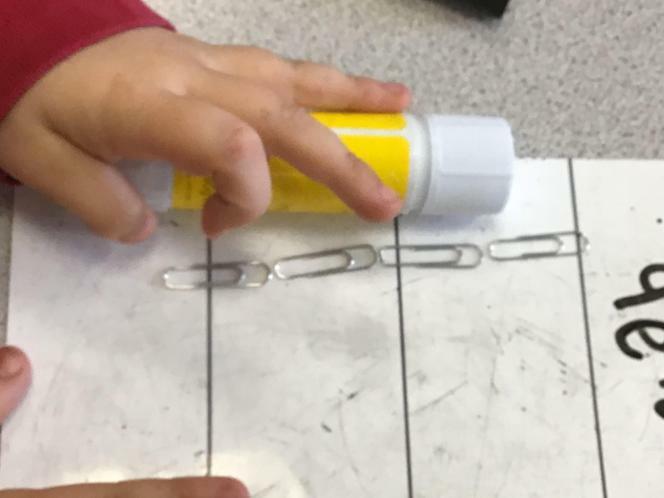 In maths the children have been learning about length and height. 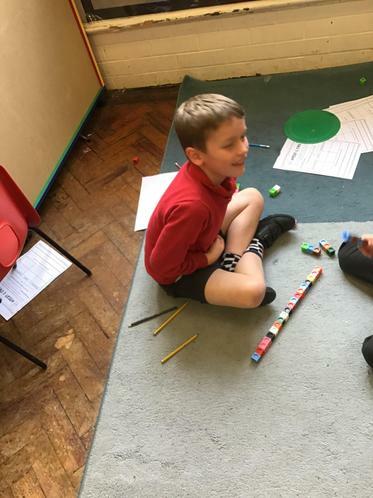 They have enjoyed measuring different objects in standard and non-standard units of measurement.